InfoSecurity Russia 2017 has been a smashing success! InfoSecurity Russia conference sessions have been extremely popular these three days! An outstanding line-up of experts addressed the industry’s hottest challenges and topics. New at InfoSecurity Russia: leading manufacturers from China demonstrated innovative solutions and shared the experience of Asian brands! Video interviews with the industry’s leading specialists and thought-leaders will be available very soon! The 14th edition of the show in 2017 is focused on hot market trends and built around the most popular conference program in the country. The only information security exhibition in Russia. Local and global brands, promising young developers, successful distributors and suppliers. Leading speakers, business critical insights, best practices and practical workshops. Key decision makers and industry professionals in the fields of information security and IT. Unrivaled vibrant atmosphere and enjoyable comfortable place for networking. Member of Infosecurity Global Events series of branded events. The InfoSecurity Conference program provides you with business critical insights, best practices and practical case studies. The show highlights most relevant topics that are most interesting to the community of experts and information security market customers. For three days various conferences, round tables, plenary sessions, workshops and seminars are running in six different conference rooms. What are the key trends that will impact the industry and profiles of leading suppliers of Information Security Market in Russia? Join thousands of your peers at InfoSecurity Russia 2017. 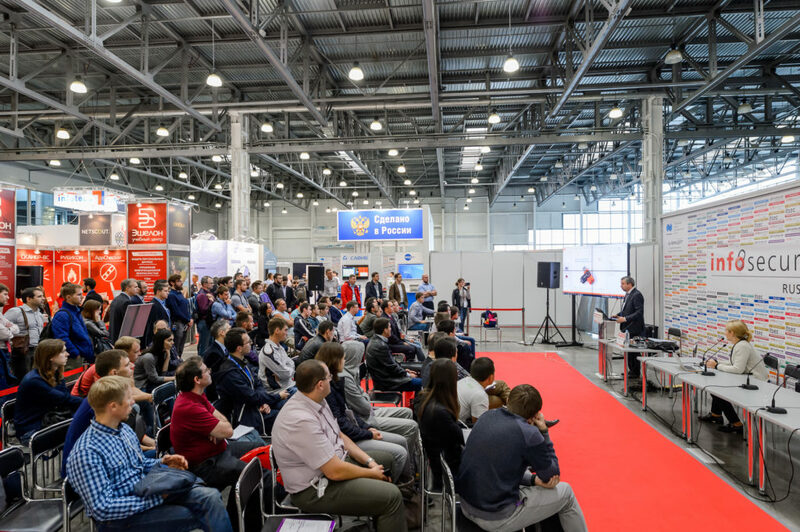 The show opens its doors to over thousands of buyers and sellers in IT Security in Russia and provides the best place for sourcing opportunities, information updates and free educational forums. Russia’s demand for data centre services has been growing. This has been driven by the development of corporate IT systems alongside the demand for backup services for the growing volume of business critical data. Moscow is becoming a hotspot for tech investment as almost 65% of the net area of Russia’s data centre space is here. Join the “Modern Data Centers and Data Protection” Conference & Exposition! What are the biggest issues in cyber security? According to official statistics from the Central Bank of Russia, last year the number of cyber-attacks in the Russian banking sphere increased by 30%,however, according to the Russian Ministry of Internal Affairs, the real figure is about ten times higher. Ransomware known as WannaCrypt or WannaCry has been attacking Windows computers around the world. On May 12, the first day of the massive hacker attack, the largest number of incidents were recorded in Russia. This was due to the fact that in Russia many people don’t regularly update their software. “We have an understanding that this is a priority and an important issue,” Andrey Krutskikh told Russian agency TASS at the International Meeting of High Representatives for Security Issues.